Some “veterinary” problems are all in the mind. 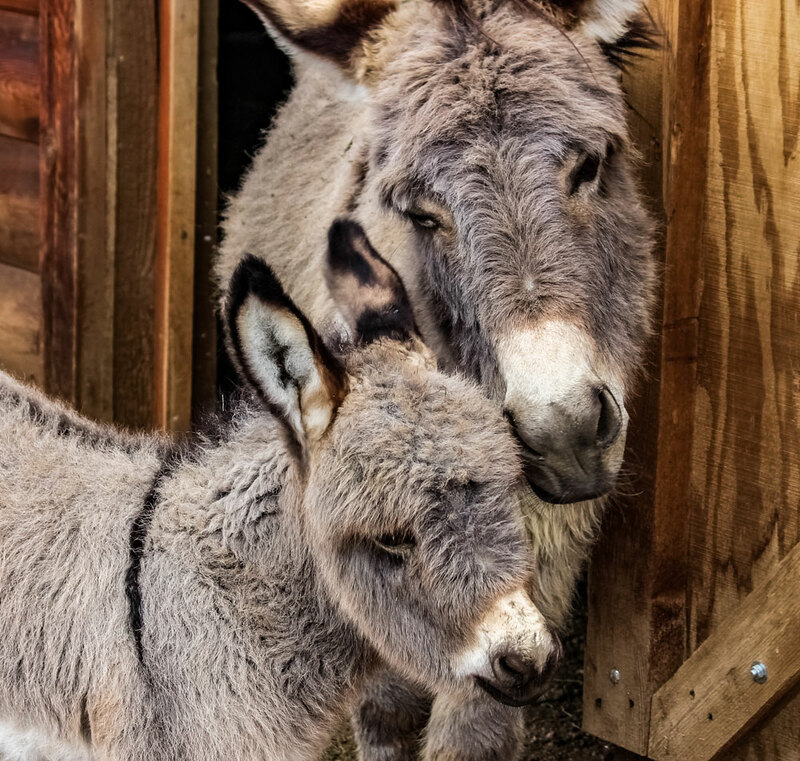 The call was for a week-old mini donkey foal that the owner insisted was not passing manure. I was charmed by the fuzzy little Ewok-looking creature with tremendously long ears. He barely came up to my knee and busily nibbled the cuff of my muck boots. I was so taken with him that I almost forgot the reason for the visit. I examined the obviously healthy foal, who showed no signs of distress and was nursing well and urinating normally. His gum color, hydration and temperature were normal, and he had good gut sounds. He wiggled too much for me to listen to his heart and lungs, so I scooped him up and tucked him under my arm. There are two things that always win the cute contest: a mad kitten and a mad mini-donkey foal, and when I was done auscultating his chest, I set him down and he shook his head vigorously, pinned his ears and tried to kick me with his tiny hooves. The little creature was now nursing vigorously, his little tail waving like a flag, and loud slurping sounds filled the air. I lifted the tail and showed her a manure stain, but I knew I wasn’t going to be allowed to leave until I could provide further proof that all was well. There was nothing else I could do. I dropped to my hands and knees and began searching the stall carefully for foal manure. I found a few suspect piles, but they’d been trodden into the shavings and didn’t look very manure-like. She was looking too, muttering to herself, and shook her head skeptically at the mushed piles. I actually considered secretly forming them into manure like balls and building a little heap so I could leave, but decided not to sink that low. Minutes passed, and I tried not to think of my other calls still ahead. Finally, I crawled over to a promising looking corner and my knee skidded into a reddish orange mound. It was definitely foal poop, and happily I scooped some into a baggie and brought it to her. Between the contents of the baggie, and my stained knee (which matched the stain on the foal’s behind), she was finally convinced. As I left the farm, I marveled at how it was often more difficult to assure owners that their animals were healthy than it was to diagnose an illness in the same animal. Sometimes it called for a creative solution. As I merged onto the highway, I remembered another client years before who had wanted me to check her horse for bugs. Not lice, she insisted. Weird bugs. And they’d burrow into the skin right when she’d try to catch them. Did I have any idea what they could be? I didn’t, so we made an appointment at her boarding facility and I spent a long time running my fingers through the horse’s mane and tail and studying his skin with a light and a magnifying glass. I found nothing but healthy skin and a clean haircoat. She was frustrated and yanked up her sleeve impatiently, showing me a heavily scabbed forearm. “Look right here, Dr. Diehl! Oh darn, it just went back into the skin!” She seized a section of skin between her thumb and forefinger and pulled, then examined her fingers. I observed the woman’s traumatized skin but saw nothing resembling bugs. I opened my mouth to say something, but she was already digging at her other arm busily, and I could see that I was not going to get anywhere with this situation. I put my light back into its case and thought for a few minutes. There was obviously something going on with her that I didn’t understand, but she needed my help. “I’m not able to actually see any bugs today, but I have a prescription for you that may help. Just make sure it doesn’t get in the eyes and rinse the skin thoroughly,” I said briskly, handing her a bottle of lavender and tea-tree oil animal shampoo and an oatmeal-based conditioner. I limited her to two baths total, and we scheduled a recheck on a day that I knew I’d be at the barn and wouldn’t have to charge her for another visit. I knew the shampoo and conditioner wouldn’t do any harm to the horse, and I hoped that it would help her as well. Two weeks later she called. Years later I learned that her condition may have been related to a syndrome known as delusional parasitosis, and I still don’t understand it very well. I was just happy that she found some relief in my magic shampoo and conditioner. I never heard what became of her, but I thought of her often. Veterinary medicine can be very strange indeed, I pondered as I drove. But I knew I wouldn’t trade what I did for any other career, and for that I was grateful.